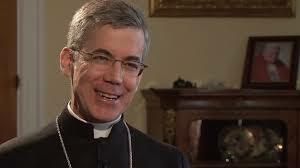 Archbishop Charles John Brown, Papal Nuncio to Ireland, was born on October 13, 1959 in the East Village of Manhattan. Both Irish and German blood flow in his veins. He was appointed Papal Nuncio to Ireland in 2011. On Sunday 13th December Bishop Alphonsus Cullinan opened the Door of Mercy at the Most Holy Trinity Cathedral. Every Catholic cathedral in the world has a designated Door of Mercy for the Jubilee, which are traditional years of celebration. 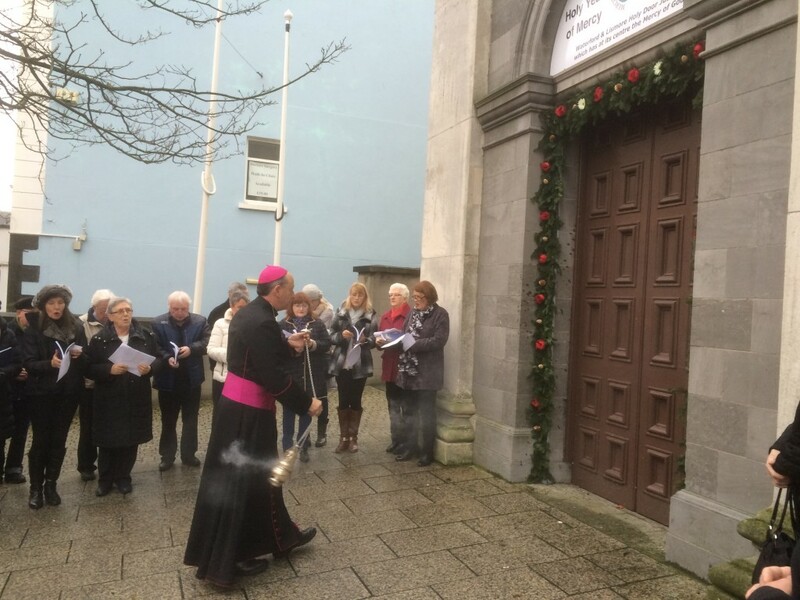 Waterford’s door will provide an opportunity for anyone to travel through the Holy Door, in case they cannot visit the one in Rome. Bishop Cullinan encouraged each one of us to be Ministers of Mercy to those we meet, during this coming year. “Pope Francis has said that Mercy is the beating heart of the Gospel, we hope to facilitate an encounter with God, the Father of Mercy, through the Holy Door and acts of charity towards one another, which, together, remind us of His goodness towards all people.” Jubilee years, which are traditional years of celebration created to bring forth freedom and equality, are usually celebrated at 25- or 50-year intervals. However, Pope Francis declared this year’s Jubilee — the second anniversary since his election — to inspire the world to have mercy and promote unity among people. The Door of Mercy at the Most Holy Trinity Cathedral was closed by Bishop Alphonsus Cullinan Sunday November 6th at 12.00. Pope Francis has announced Year of Mercy Dec 2015 – Nov 2016. The purpose of the year is to proclaim God’s mercy to all people. Mercy is God’s unconditional love for all that has been created. God’s love never depends on our actions; it’s an endless and radical mercy that God offers freely. The Year of Mercy is a way for the church to “make more evident its mission to be a witness of mercy.” Each of us has an opportunity this year to show mercy to one another. When does the Year of Mercy begin? It will begin with the opening of the Holy Door of Mercy in the Basilica of St. Peter, December 8, 2015 by Pope Francis. Every diocese will celebrate the opening of the Holy Door in unity with the Universal Church by opening a Holy Door of Mercy in their own cathedrals on Sunday December 13 2015. The Year of Mercy will come to a close on Sunday November 20 2016. What is the Holy Door? 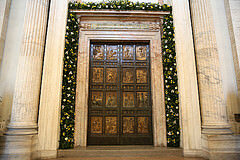 The Holy Door, whether in Rome or in dioceses throughout the world, is a Door of Mercy. Pope Francis say that “anyone who enters will experience the love of God who consoles, pardons, and instills hope.” A holy door has been used since the fifteenth century as a ritual expression of conversion. Pilgrims and penitents pass through the holy door as a gesture of leaving the past behind and crossing the threshold from sin to grace, from slavery to freedom, and from darkness to light. This rituals are associated with prayer, pilgrimage, sacrifice, confession, and indulgences. The holy door only finds meaning when the believer associates the door with Christ. Jesus is the Door! 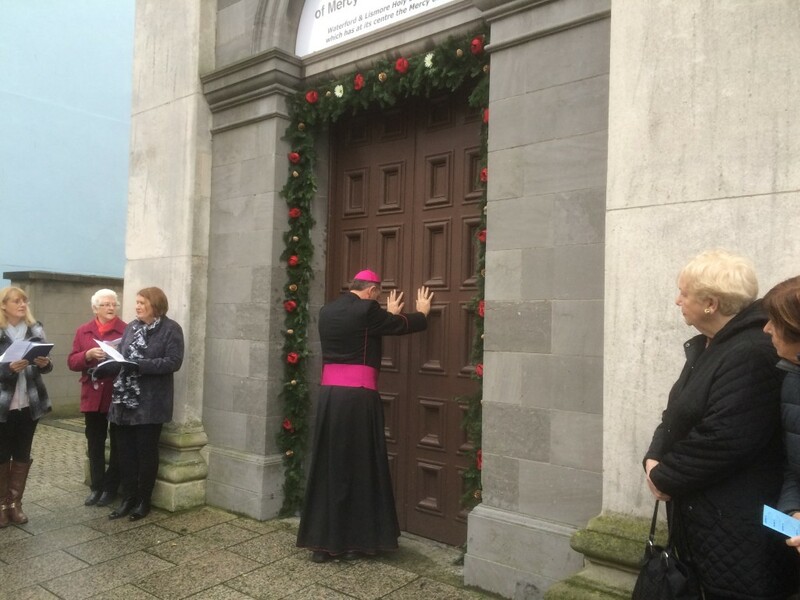 In the words of Pope Francis, “There is only one way that opens wide the entrance into the life of communion with God: this is Jesus, the one and absolute way to salvation.” A holy door will be in the Cathedral of the Most Holy Trinity, Waterford and will be opened on the third Sunday of Advent, December 12th/13th. How can we participate in the Year of Mercy? People are called to make a brief pilgrimage to the Holy Door, open in every Cathedral and in the four Papal Basilicas in Rome, as a sign of the deep desire for true conversion. Once they have crossed through the Holy Door, the faithful should stop in prayer to fulfill the final actions asked for: the profession of faith, and prayer for the Holy Father and his intentions. It is suggested that pilgrims recite the lovely prayer of Pope Francis for the Jubilee, and that they conclude the time of prayer with an invocation to the merciful Lord Jesus, “Merciful Jesus, I trust in You”. We can participate ourselves by dwelling on the Corporal works of mercy – Feed the hungry, Give drink to the thirsty, Clothe the naked, Shelter the homeless, Visit the sick, Visit the imprisoned, Bury the dead. We can also avail of the sacrament of confession during Lent & Advent, and at other times throughout this special year. Jesus, the Good Shepherd, takes the one is lost upon his shoulders. The image, created by Jesuit Fr. Marko Rupnik, shows one of Jesus’ eyes merged with the person on his shoulder, to show how Jesus Christ sees with the eyes of humanity, and humanity seeing with eyes of Christ. Monday to Friday 11:00 am – 5:00pm. Marian and Carmel will be delighted to help with any questions you may have. Mass cards, religious objects and books are available for sale in our new Book Store at the entrance to the Cathedral, which is open Monday to Friday from 10.30am to 2.30pm. Senior Choir Our Senior choir lead us in song each Sunday at the 12.00 noon Mass. Cathedral Vigil Choir Our Cathedral Vigil choir will lead us in song every second Saturday at the 6.15 vigil Mass. Trinity Gospel Choir Our Ecumenical Trinity Gospel choir will lead us in song on the third Sunday of each month at the 12.00 noon Mass, after they have led the singing in Christ Church Cathedral at the 10 am family service. Confirmation Date Confirmation Day for the boys in De La Salle, Stephen Street will take place Friday May 31st. Our sincere best wishes to the boys, the parents and guardians of the children, and also to the teachers and staff of the schools. Please remember all our confirmation candidates and their families in your prayers, thank you. First Holy Communion The boys from De La Salle, Stephen Street will receive their First Holy Communion on Sunday May 12th. Our best wishes to each of the boys and their families, and also to all the teachers and staff of the school, who without fail, always put in such a huge effort. Please keep our young people and their families in your prayers, thank you.